Create an object (as server only). 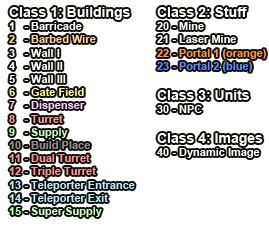 Objects are buildings, mines, portals, NPCs etc. Values depend on the type of the dynamic object. Attention: Huge numbers of objects can slow down the game and lead to lags!